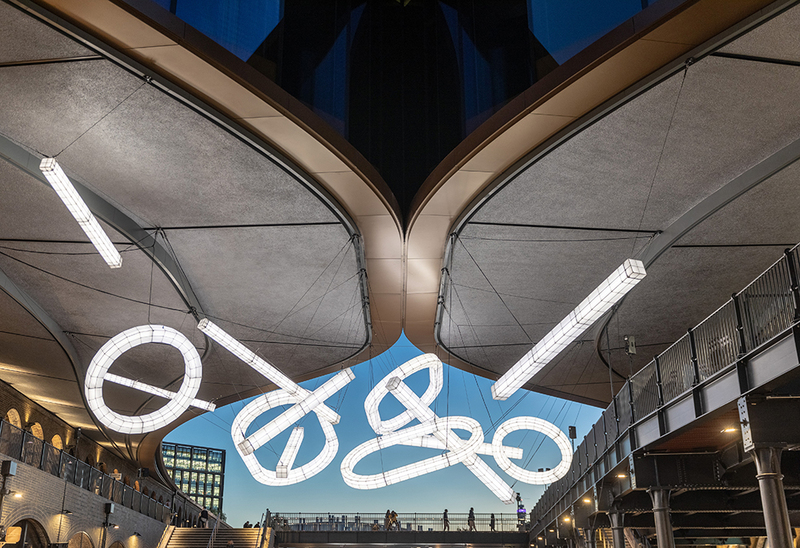 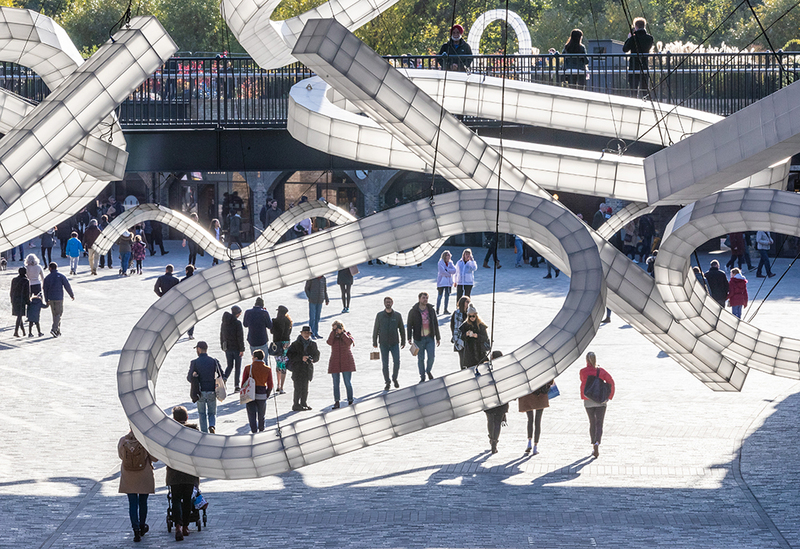 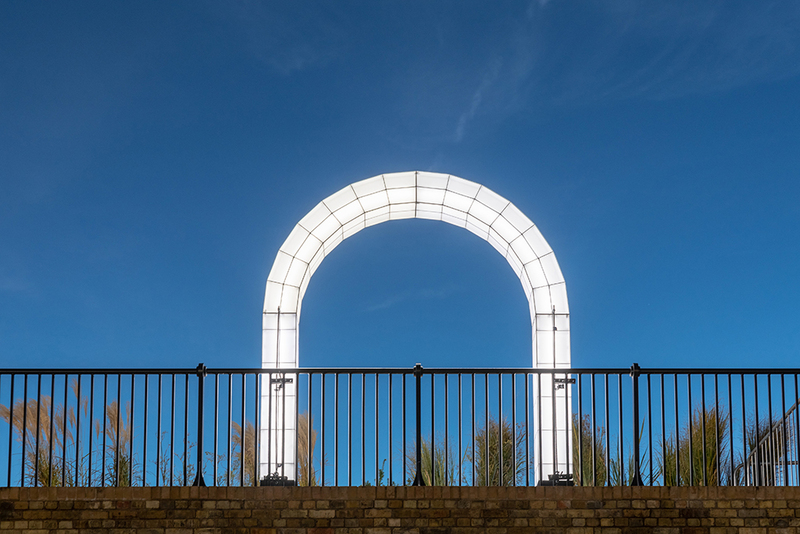 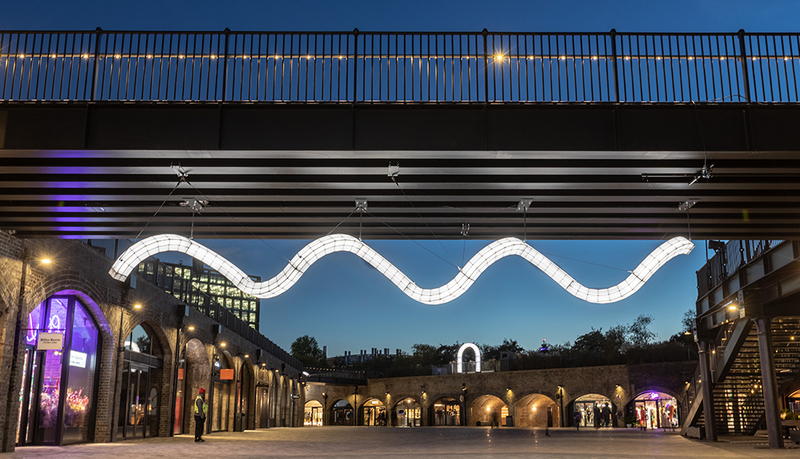 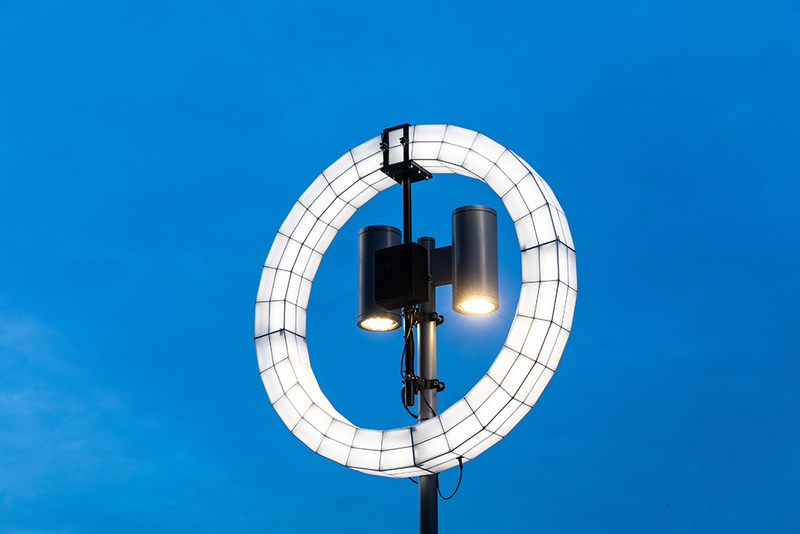 The giant sculptural lights placed around Coal Drops Yard and Granary Square in London during the festive period are the work of Eindhoven-based design Studio Mieke Meijer. 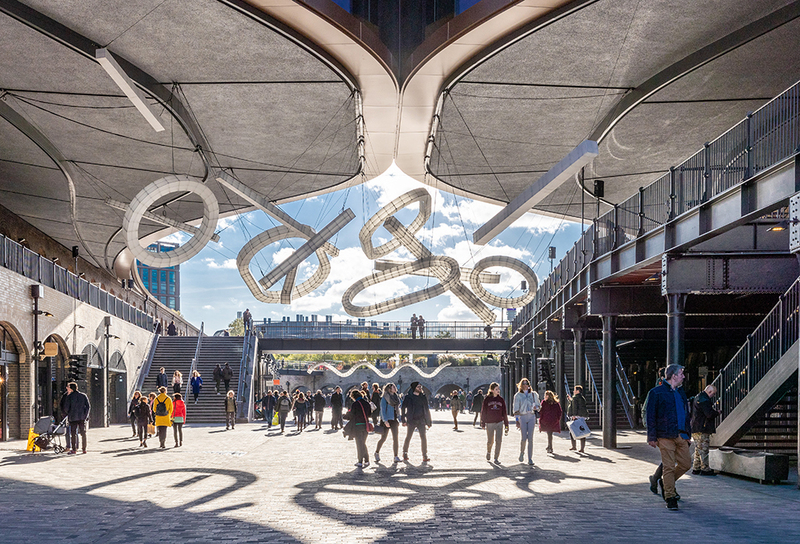 Just as the reopened Coal Drops Yard by Studio Heatherwick is a celebration of industrial engineering, so the Space Frames were similarly inspired by the timeless beauty of rigorous and functional industrial architecture. 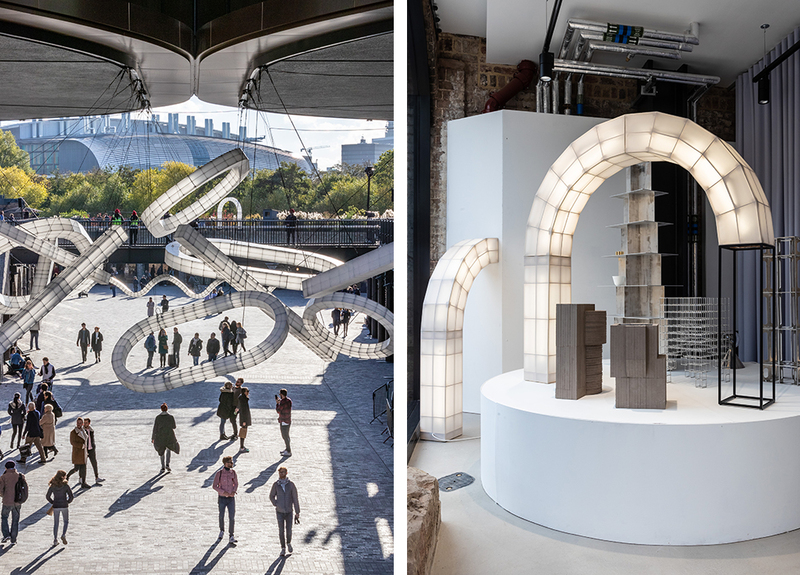 Roy Letterlé and Mieke Meijer of Studio Mieke Meijer cite the abandoned industrial buildings of their hometown of Eindhoven as a direct influence on their work. 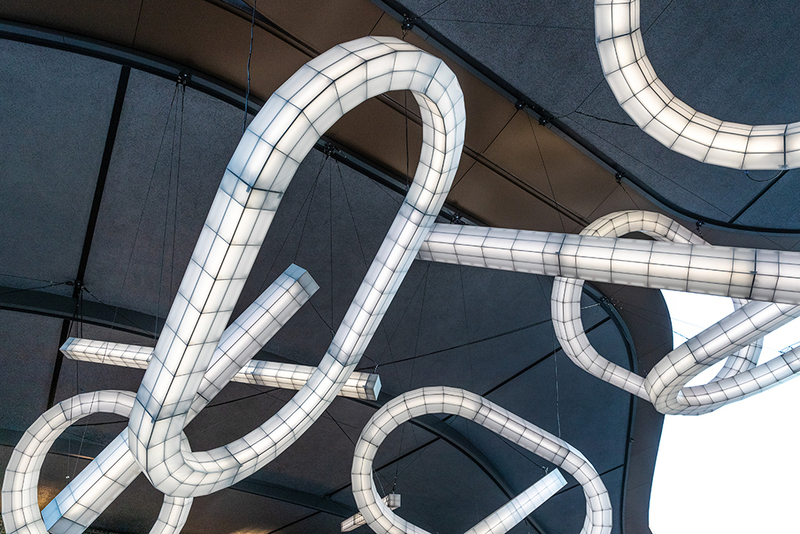 The interior of the Space Frames is a light but strong aluminium skeleton made from an innovative modular system invented by Studio Mieke Meijer. 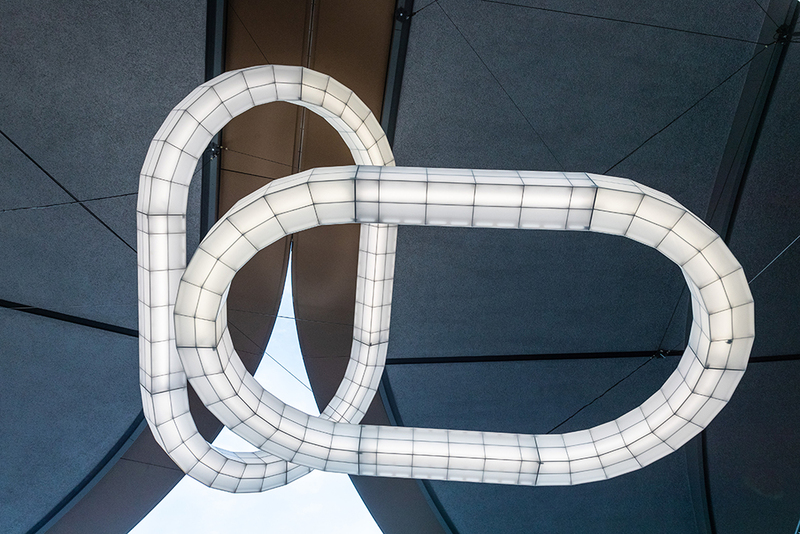 The frames are covered in an industrial polyester fabric commonly used in the aviation industry. 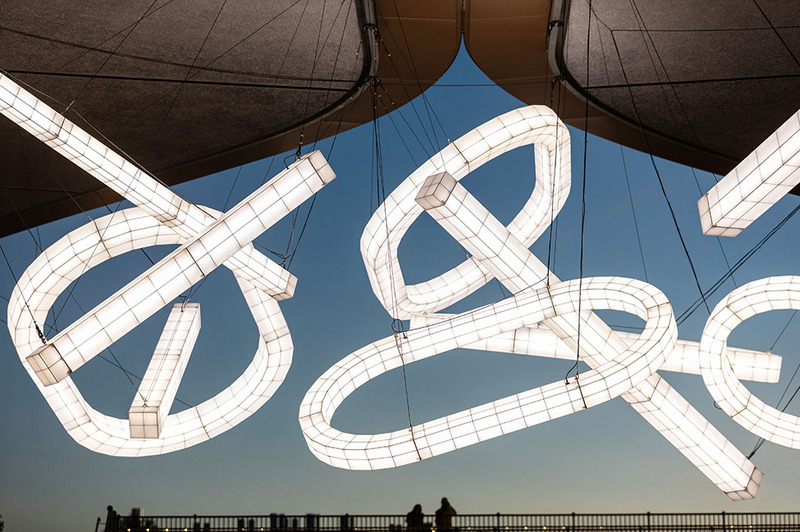 All Space Frames are handmade by Studio Mieke Meijer in their workshop. 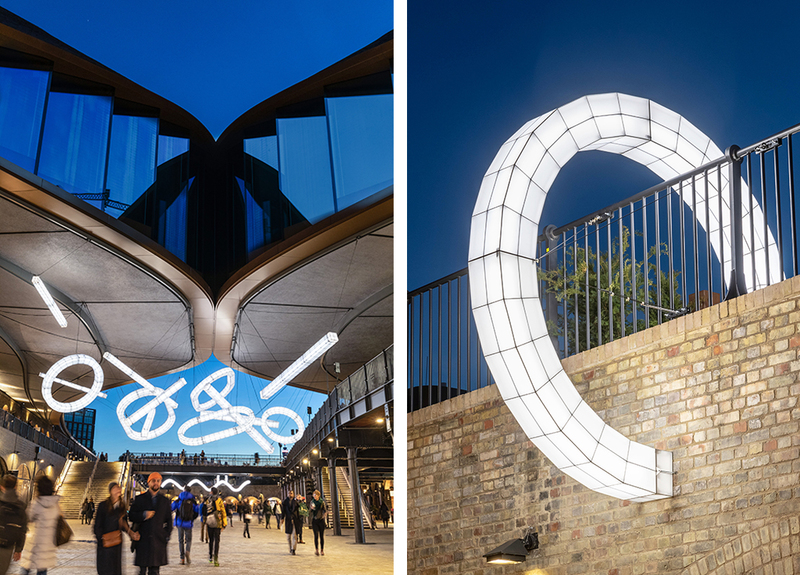 Mieke Meijer: “We didn’t just want to make a lamp, but more of a building system, from the same building block you can make a small object or a really large one.” For Coal Drops Yard, Studio Mieke Meijer have demonstrated that modularity by super-sizing their sculptures.